You’d have to be Dr Seuss’ Grinch to hate Christmas. What could be better than a Christmas lunch, presents and the general excitement of the festive period? While Christmas is an exciting time of year, it can also be an exhausting and draining one for employees as consumer activity and workloads spike 15% or more. Staff can easily be overworked, overstretched, have to work additional hours, all in the name of ‘killing it’ (getting great results) this festive season. 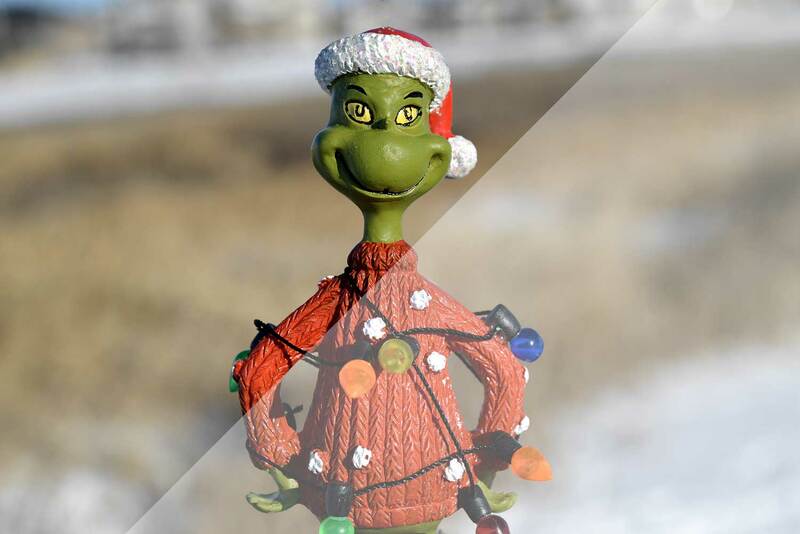 With this in mind, how many Grinch’s are you fostering in your business as the pressures in the job begin to build? And by the way, this is a question that should be considered ANY time of year. I’m sick but you can’t catch it. I smile but I’m not happy. Mental Health is defined as a person’s condition with regards to their psychological and emotional well-being. It may not be World Mental Health day, but do we really need one day and one day only to discuss topics. Every day should be Mental Health day. To be honest, Mental Health wasn’t touched on too much before about 2 years but it’s great that more people are talking about it today. You may not have a connection with Mental Health personally or by those closest to you, but it’s important to be aware of the dangers. The scary thing is that one day you could be fine but something in your life could trigger anxiety, panic attacks or other struggles. Why is this something to consider over Christmas? We hear the term ‘We’re Killing It’ in a positive and successful sense but are we killing those around us just to hear that remark. As we come up to the festive season, the number of those facing mental health struggles or suicide attempts is much higher than any other time of year. It is one of the most critical threats to society — damaging our health and relationships, costing the economy and endangering our lives. Mental health conditions such as depression and anxiety cost Australian businesses up to $12 billion A YEAR. The number of people attempting to end their lives is estimated at as many as 85,980 per year. In 2016, the total number of suicide deaths sits at a staggering 2,866. This is, in fact, a decrease since 2015, numbers were as high as 3,027 but the number is still far too high for anybody’s liking. Around 13,545 workers engage in non-fatal suicidal behaviour each year, with 2,303 resulting in full incapacity and 11,242 needing a short absence from work. In November 2017, even a guy as funny as Jim Carey (aka The Grinch) opened up about issues around depression and mental health. Mental health has been found to affect job involvement, job satisfaction, loyalty, performance, absence, turnover and physical health. It’s time to start talking about it and helping others. Ways to improve mental health should be a priority, using meditation, writing and healthy lifestyle choices are all ways of shifting negatively and creating a positive headspace. Mental health issues are the leading cause of sickness absence and long-term work incapacity in Australia — overtaking musculoskeletal problems in 2013 — and most developed countries. This problem is driving people to suicide at an unprecedented rate. Eight Australians die by their own hand each day: six of them men. For every person who succeeds, there are another 30 who attempt suicide, with 85,980 people in this country trying to take their own lives in any given year. It is the most common cause of death in Australians aged 15-44, more likely to kill you than a motor vehicle accident or skin cancer. A massive 20 percent of suicides are linked to work. The toll is usually greatest for the worker, with many sufferers losing their jobs, or finding their sick pay quickly runs out. Then there’s the taxpayer, who has to pay extra for goods because of struggling employees, and to fund mental health services and benefits — which are typically higher if the issue has been left to fester for long periods of time. An emotional tornado is picking up speed and pulling many workers towards its core, as an employer its time to act now! How can we prevent this and future-proof their workloads, lifestyle, relationships and finances? If you know floods coming and you’re at risk, you begin taking steps to protect yourself and your home. You begin collecting sandbags, ensuring pets are in a safe place and removing furniture off the ground, just to name a few things. That $12Billion dollar and a number of deaths is the flood. What are you going to do about preventing it from draining your business accounts? Ensuring mental health measures are in place is very important in future-proofing your businesses. This could be empowering workers to speak up to managers or bringing professional help in, allowing workers to have mental health days if needed, training managers to help in these situations and looking out for signs. The famous saying ‘people don’t leave companies, they leave managers’ rings true in so many ways. If you have strong managers and provide support to your workers, what reason do they have to leave? Prevention is better than a cure. Australia has a reputation for being a healthy country, with a deeply ingrained love of fresh produce, sport, nature and the outdoor lifestyle. Another important element was job opportunity and security. Roles that offer variety, interest and feedback are associated with higher levels of workplace wellbeing. Job insecurity, lack of resources or learning opportunities and disproportionate pressures to perform are associated with poor workplace mental health. In the current jobs landscape, which is working lives are characterised by a lack of fulfilment, under-employment, boredom, pressure, insecure part-time or casual work, underpayment and few opportunities, it’s no wonder we are more stressed than we’ve ever been. It’s a crisis we urgently need to address. The research shows there are a number of clear risk factors for a job that leads a person to develop mental health issues and potentially attempt suicide. Job strain can involve a lack of resources, engagement, exposure to extreme stress and long hours. Then there’s a lack of respect or value. This could involve being bullied, sexually harassed or ignored. Bosses who are not open or fair in their decision-making can generate feelings of resentment and misery in employees. The third major factor is occupational uncertainty. Workers whose jobs are insecure are likely to be under more stress than others, particularly if finances are an issue. Job insecurity partially explains why low-paying contractors are at more risk of suicide than others, with construction workers having the highest rates of suicide in Australia. Farming and manufacturing are also high-risk roles. Other jobs with elevated rates of suicide include doctors, nurses, vets, lawyers and bankers. This is attributed to high demand, long hours, hierarchy, gender norms and — in the case of medical professions — daily trauma and access to the means to take your life. Poor mental wellbeing is typically the result of a combination of individual vulnerabilities, social factors and environmental triggers. Men are more at risk than women, and people living in rural areas are in more danger of suicide A difficult work situation could exacerbate other issues in someone’s life — whether a relationship breakdown, financial stress, bereavement, genetic predisposition to depression, substance abuse, isolation or sexual harassment. There are various programs in place through federal and state government, non-profits and private companies, but there is a lack of consistency, and some are far ahead of others. The experts say we need workers to prioritise their mental health and that of those around them, employers to create a supportive culture with universal support on an ongoing basis and structural change within industries, with the assistance of government. Vitally, we need to remove the culture of shame and be willing to address mental health as we would any other problem. Donesafe can offer you a solution to help identify employees with mental health issues and to help them win the battle against it. From lower wages to higher taxes to a spiralling cost of living, mental health issues can be extraordinarily expensive for everyone. It is estimated that around 20-30% of the workforce will suffer from a serious mental health problem during their working life-this includes anxiety, depression or OCD (Obsessive Compulsive Disorder). Invisible (to the eye) illnesses such as those mentioned generate astronomical costs for employers whether a worker takes several days of sick leave, not fully functioning in a role or long-term leave- this all comes at a cost to the company. It is estimated that every dollar spent on effective workplace mental health actions may generate $2.30 in benefits to an organisation — $2.3 return on investment.